Lincoln’s election in 1860 was soon followed by South Carolina’s secession from the Union, sparking the Civil War. Although they had not given their full vote to Lincoln, the people of Fort Greene were strongly pro-Union and in favor of abolition. New York State had outlawed slavery in 1827, and Brooklyn’s first “Coloured” school, where the Walt Whitman Houses are today, opened 20 years later. Perhaps half of Brooklyn’s African Americans of that period lived in the Fort Greene-to-Brooklyn City Hall section. Labor competition for jobs and anger over the new draft laws grew fierce during the Civil War, sparking the deadly 1863 Draft Riots, where mobs of angry white hooligans attacked black workers. After three days of bloodshed and mayhem Federal Troops were called in to subdue the mobs. Yet black accomplishment could not be denied. The principal of P.S. 67 in 1863 was African American, and by 1882 Dr. Phillip A. 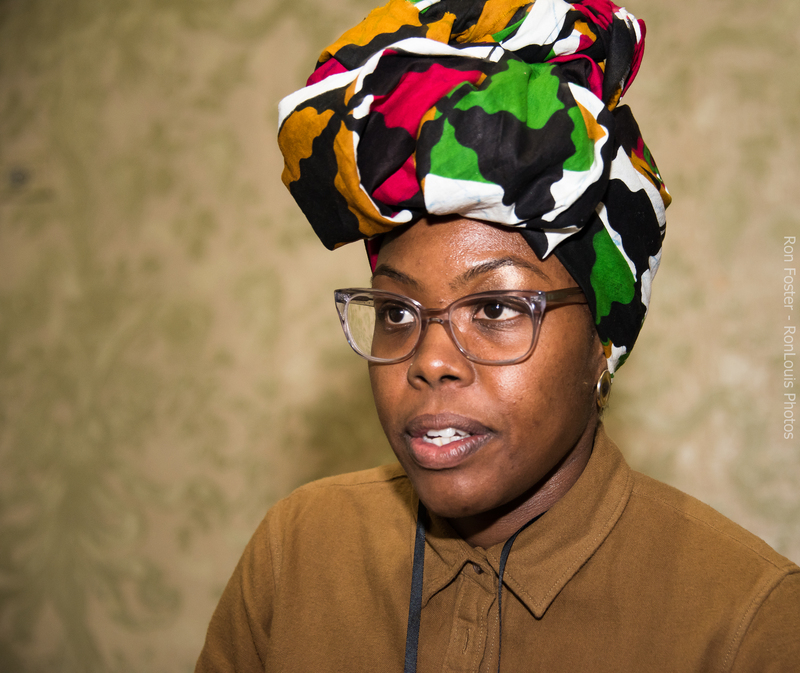 White became the first black member of Brooklyn’s Board of Education. The village of Weeksville near Schenectady Avenue, where some Fort Greene blacks relocated, also produced the first female African American physician and the first black police officer in New York. During the Civil War itself, the 14th Infantry Regiment of Fort Greene was under the command of a Fulton Street office manager, Gen. Edward B. Fowler. At the pivotal battle of Gettysburg the New York 14th Regiment virtually turned the tide of the Civil War to the Union’s favor. 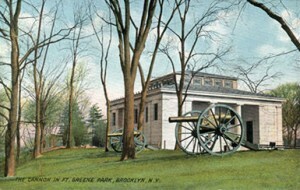 Fowler’s troops from the Fort Greene area halted a brigade of Confederates at great cost in lives. Gen. Fowler’s regiment was so fearsome, the Confederates referred to the men as the Red Legged Devils because they wore sprightly red britches. 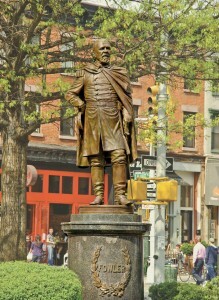 A statue of Gen. Edward B. Fowler stands today at the junction of Lafayette Avenue and Fulton Street, now called Fowler Square.